Actually Erica: Simple Spring Outfit And Makeup Of The Day & Crazy Helium Booth! Simple Spring Outfit And Makeup Of The Day & Crazy Helium Booth! Hey guys! Here's a super quick and easy Spring look of the day! It is already super hot and muggy here on the southern East coast of the US, temperatures are averaging in the mid-nineties right now. So, even though it is still technically Spring here, we are definitely having Summer weather already. On this day I knew we had a lot of errands to run and I just wanted to be comfortable, yet somewhat stylish lol. When I have a lot to do and I know it's gonna be hot out, I don't like a lot of heavy makeup on my face. 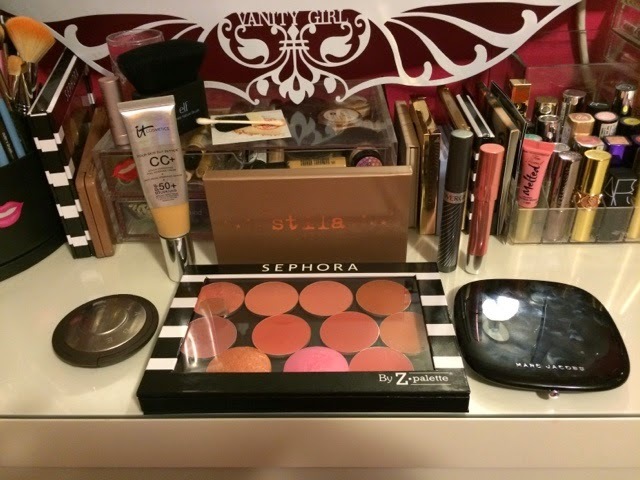 I basically aim for the lightest makeup possible, and everything kind of stays put that way a little better. 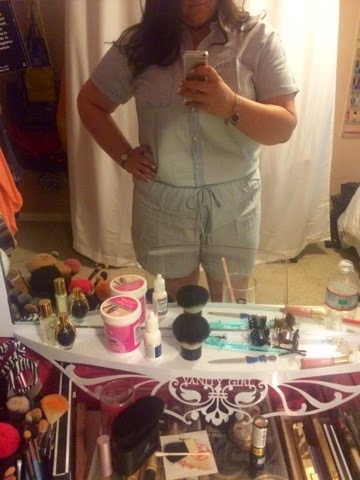 I wore a denim romper from Old Navy. This is SOOOOO comfortable and just easy. The only thing I don't like about a romper is how you have to basically undress completely when you go to the bathroom, but other than that they are great. One article of clothing is your whole outfit, and it's just comfortable, no bunching or pulling or tugging. This particular romper is a super lightweight denim, super soft. (It was also on sale last week, I was able to snag it for $16. The good news? It's still on sale, get yours HERE). 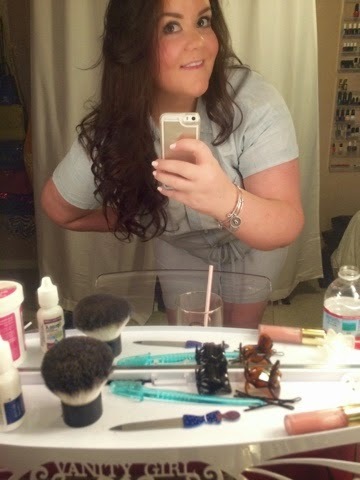 I love that this romper has short sleeves (as most rompers are sleeveless) and that it is generously sized in the chest area. When it's hot out I don't like a lot of bulky jewelry either, it can make me hot lol. As almost always I just wore my diamond stud earrings and diamond necklace, with a watch and a couple of bracelets. For shoes I just went with my super comfy Sam Edelman Gigi Sandals. This print is so fun and goes with so many things. Love these! I've mentioned this for forever now. 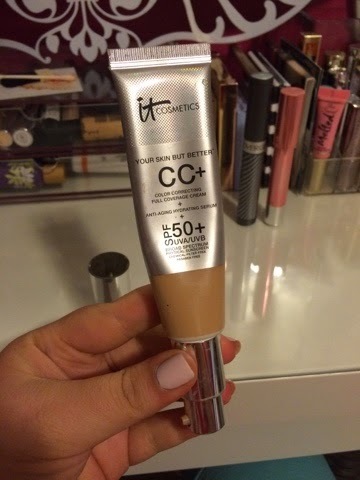 The It Cosmetics CC+ Cream is one of my favorite products to use in the hotter months. Whenever we vacation to a tropical locale, this is ALL I ever take. 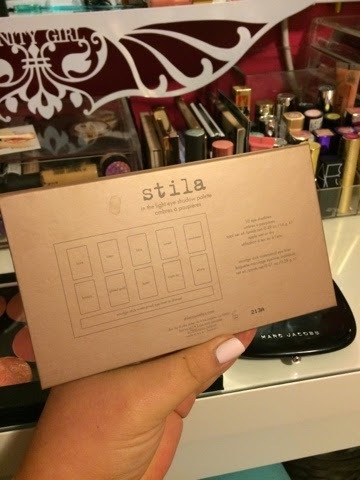 It has amazing coverage and it is jam-packed with skin loving ingredients. It's your skin care, moisturizer, foundation, and spf all in one. If you have oily skin then you are probably aware of the mess your makeup can get in when it's hot and humid outside. One pump (that really is all you need) and you're done. 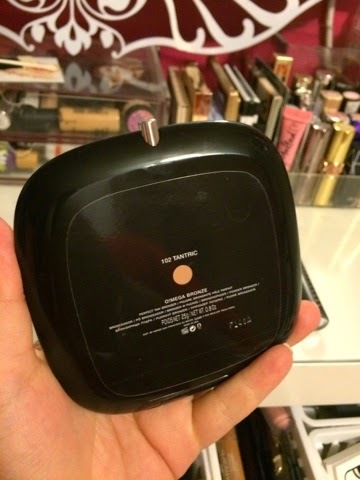 With just one single layer of a product on your face like that, there isn't a lot of "melting" going on. Everything stays light and fresh. You've got tons of good ingredients working to help your skin, you've got great coverage, and you've got 50+ spf protecting your skin from the sun's harsh rays. Total win/win. 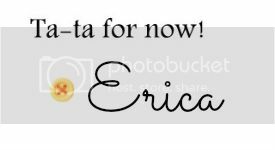 Beating a dead horse here, if you follow my blog then you know this is basically what I use almost EVERY time I do my makeup. 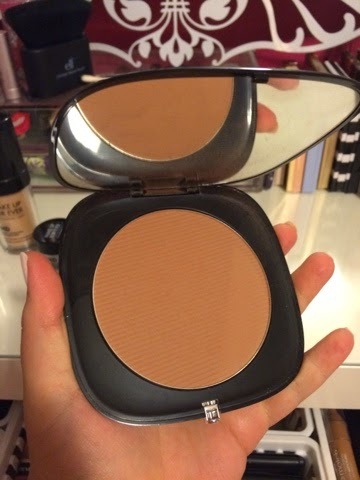 The Marc Jacobs O!Mega Bronze is lovely, a great (matte) bronzer that is so flattering on the skin. And while it is expensive, you get a ton of product in here (this thing is massive). 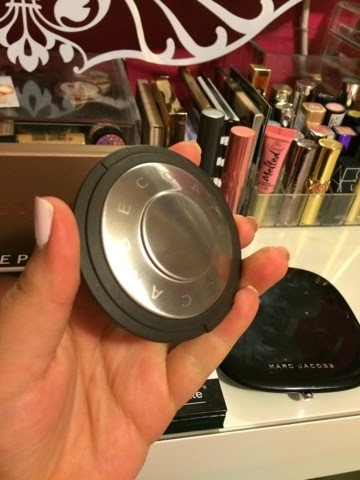 In my opinion, it's better to invest in one really nice product like this than to go to the drugstore and buy several bronzers that might not fit the bill in terms of what you're looking for. Love this, use it allllllllll the time. Today I went with a simple pink lip and cheek. 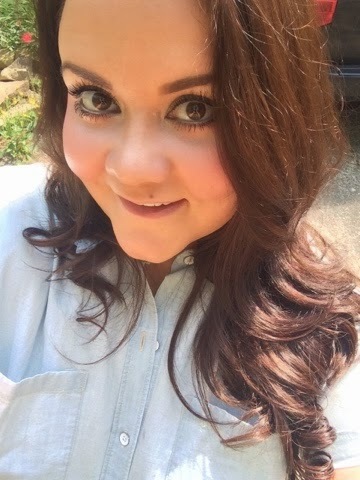 Milani's baked blushes are lovely, and on this day I wore Delizioso Pink. 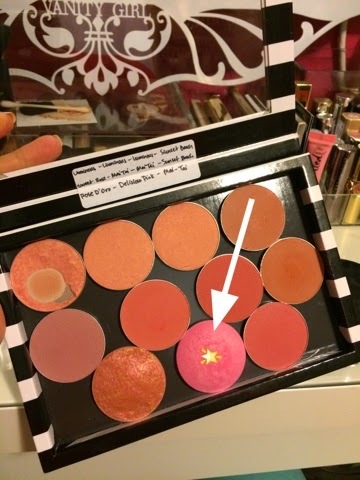 I actually de-potted all of my (discontinued) Milani Mineral blushes and a couple of the baked blushes and put them all in this Z Palette. So handy! 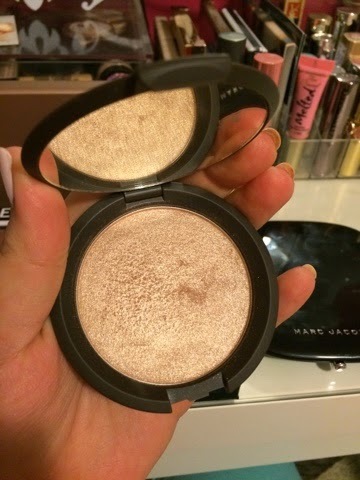 I can't believe I didn't use my Hourglass Ambient Lighting Powders! Hahaha! 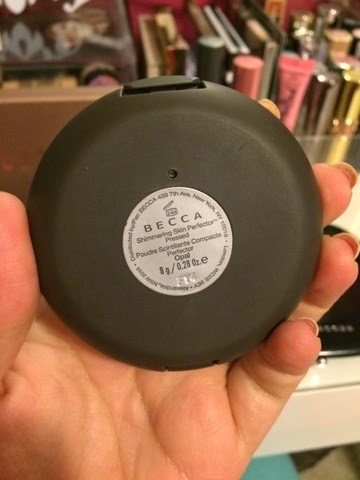 Instead I went with the oldie but goodie Becca Shimmering Skin Perfector in Opal. Ugh. This is just gorgeous. You forget just how shimmery and pretty this is until you use it again. Glistens so pretty on top of the cheek bones in the sun! 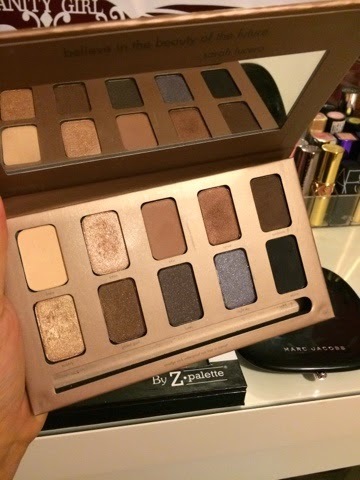 Probably my favorite palette of life. Sadly, I think this may have been discontinued? 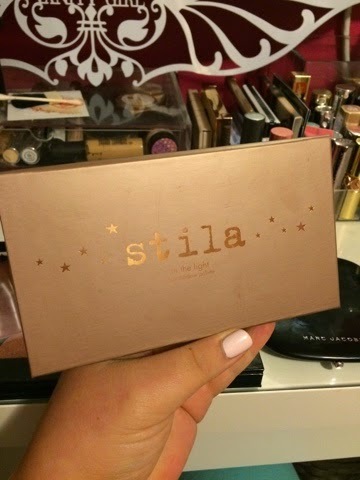 It's the Stila In the Light Palette and it is lovely. Always one to do a super simple lip, today I just used the Revlon Balm Stain in #105 Demure. Best balm stain ever. Like ever. 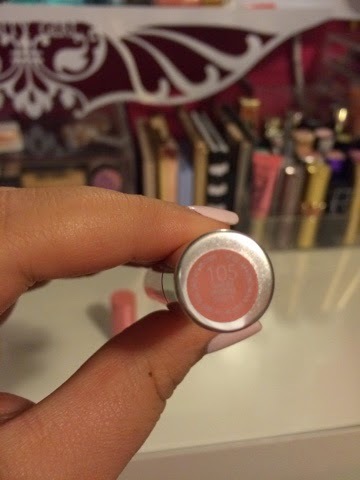 If you want a super pigmented colorful balm stain, this is NOT for you. But, if you want just a pretty, kind of swipe on and don't even have to use a mirror, but goes with anything, this IS for you. It's soft and sweet, slightly shiny, and just brightens up any look. I bought this for my mom last year and she has used the heck out of it. 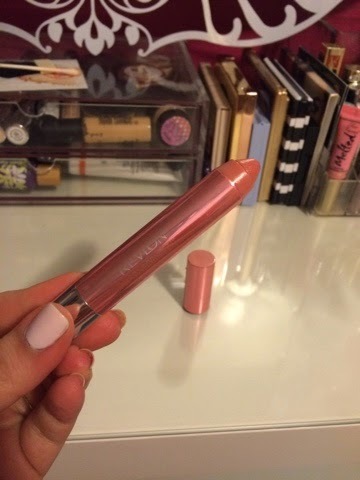 Definitely her go-to lip product. If you want to see the makeup look really close up and in action, then watch this video. It is hilarious (if I do say so myself), but you really can see everything close up. I got so tickled I ended up crying all my makeup off, but that's okay. It was totally worth it to have this much fun!